In keeping with the trend from the past several months, Calgary residential sales enjoyed higher than expected growth during the month of August. 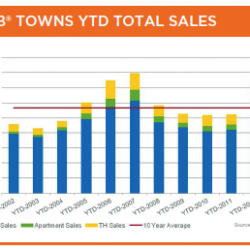 With a total of 1,725 residential sales, the figures represent a 10 percent increase when compared to August of last year. On the other hand, while Calgary sales have remained strong throughout the month of August, they have slowed down when compared to the previous five months.